It’s that time of the week again! Last week I covered Murky the Murloc. 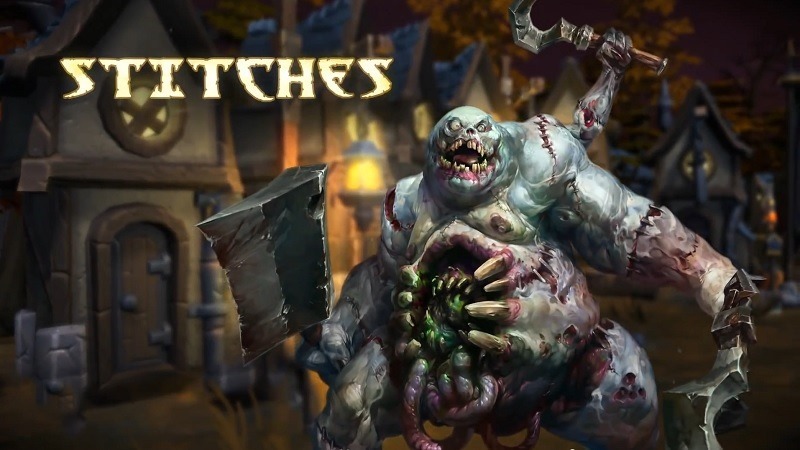 We’re sticking with the Warcraft universe again this week and looking at Stitches, the absolutely disgusting abomination. Stitches is a strong character who is good for some solid tanking and general disruption in a team fight. Here’s his intro trailer. 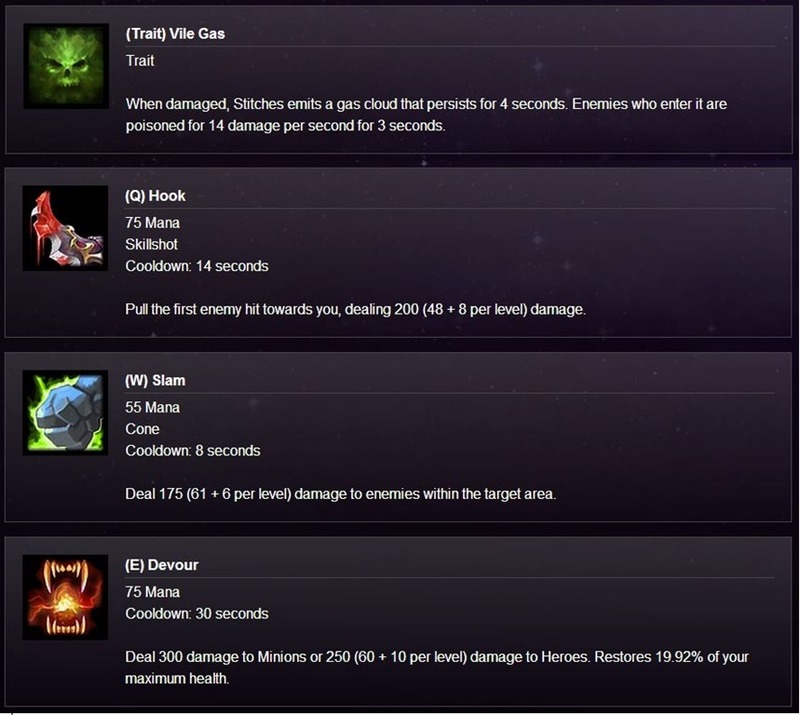 Vile gas is just the start of why Stitches is great in a team fight. This trait means that taking any kind of damage will emit a gas cloud which hurts enemies over a few seconds. The hook is easily his standout ability. A well placed throw will pull an enemy towards you, taking them away from the safety of their team and making for an easy kill. Slam is possibly my least favourite ability. While it does have a decent sized cone AOE, it just feels like it does very little damage. Devour on the other hand also does very little damage, but it’s real benefit comes from the fact that it can be used to give health to stitches. That 20% is a huge gain, especially at higher levels when his health pool is incredibly large. Gorge on the other hand is best suited for taking an enemy out of a team fight. The damage is decent, but the real benefit is turning a 5 v 5 battle into a 5 v 4, which makes a world of difference. 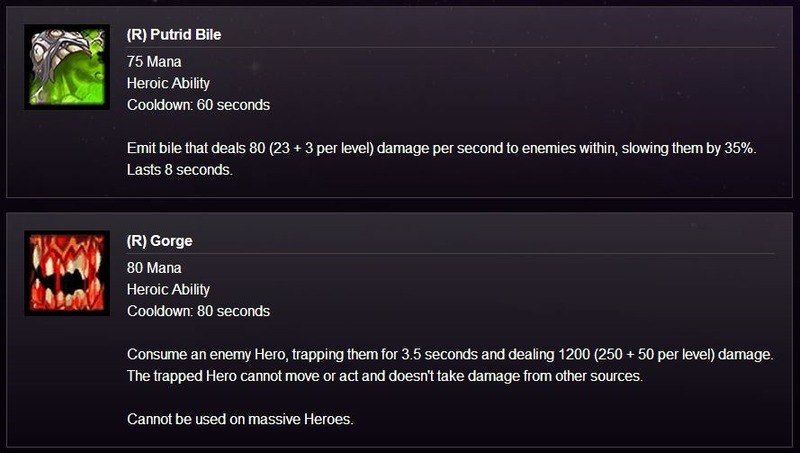 The cooldowns of both ultimate abilities are quite short, so they can be used quite frequently. As a Stitches player, you should constantly be on the lookout for an open hook. You can’t hook through creeps, so you need to make sure your positioning is good. It’s quite simple early game on certain maps, as enemies stick together in an attempt to capture an objective. A blind hook may well result in an easy kill. As the team’s tank, you really shouldn’t be scared of running into the worst of situations. Gorge will give you some life when you are low. Get in there in drop all your abilities! If your team are decent enough and follow up, your enemy won’t stand a chance. If you’re playing against a Stiches, I find that it is best to focus on him last in a team fight. While he does have some decent spells, his damage output isn’t actually that high. Rather ignore trying to kill him, because it will take a really long time. Instead, try pick off his teammates first. When he is alone, he turns into a surprisingly easy kill. Keep in mind that the game is still in Technical Alpha, meaning that stuff can change as it develops. If you have any recommendations, questions, suggestions, or hero spotlight requests, please do leave them below. If I can afford them with my in-game gold, I will happily do a video for them. Nova is still not free to play. I promise I will get to her spotlight as soon as she is! Previous article Is Destiny getting a cologne?